An album made from sounds recorded in a village in the Highlands, for a residency with Timespan. Buy the album now! Beautiful CD or digital copy, starting at just £4. Towards the end of 2014 I was invited to do a residency at Timespan, a wonderful arts centre in the village of Helmsdale in the Scottish highlands. The residency was part of their Serendipitous North project, which involved artists from a number of different artforms coming to the village to develop new work. My artform, of course, was music. My aim during the course of my residency was to try to make a recording of every instrument in the village, and then make an album out of all of these recordings. Of course, this was a nearly impossible task, but that didn’t seem to stop anyone from trying to help! Indeed, I soon learned that the simple premise of trying to track down every instrument in town opened a lot of doors to me – both literally and figuratively. I was invited in for countless cups of tea, I discovered instruments in attics and churches and garden sheds, and I got an amazing perspective on the town. For example – there was a small piano hidden in a gorgeous croft home in Gartymore, overlooking Helmsdale. It was a child’s size piano, 61 keys and very low to the ground. It hadn’t been tuned in ages, but I loved the sound of the rattling dissonant strings. I couldn’t help playing some Mozart. The piano had come to the croft from one of the bigger houses sometime in the 1940s, when money needed to be raised because of the war. It had gone from being something of a toy for a well-off youngster to being a family instrument on a farm to being a piece of furniture. It’s history mirrored the story of the village and the surrounding area, and every sound it made contained all of those memories and people. This project very quickly became about memory, identity, and place. 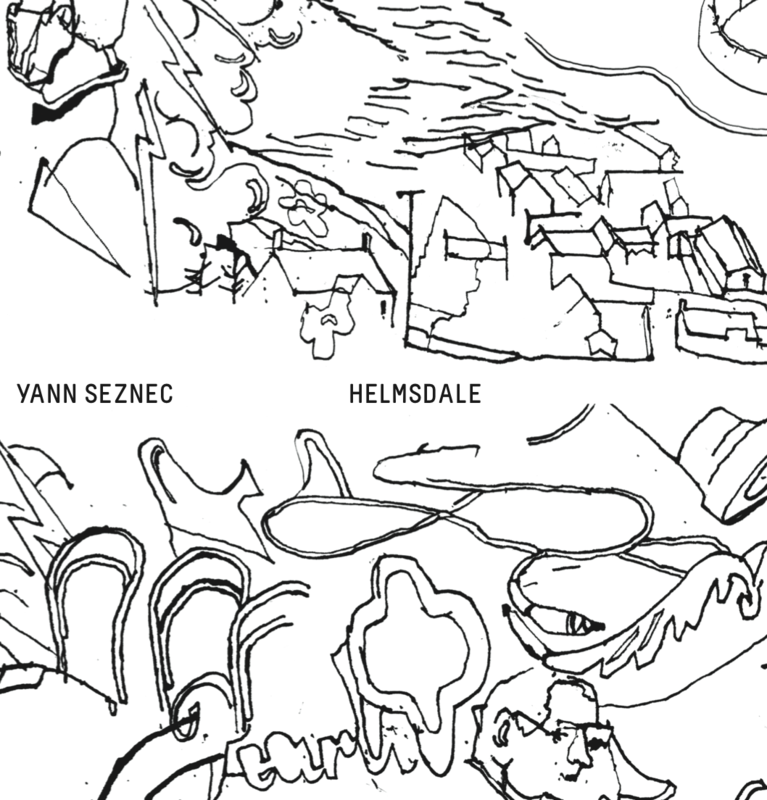 I recorded a giant library of sounds from a huge variety of instruments, and though I’m sure I was a long way off recording every instrument in the village, I feel very strongly that the sounds I was able to record all have a little piece of Helmsdale in them. I have made an album out of these sounds. You can order a CD, or buy a digital copy now. You can also listen to the songs below. 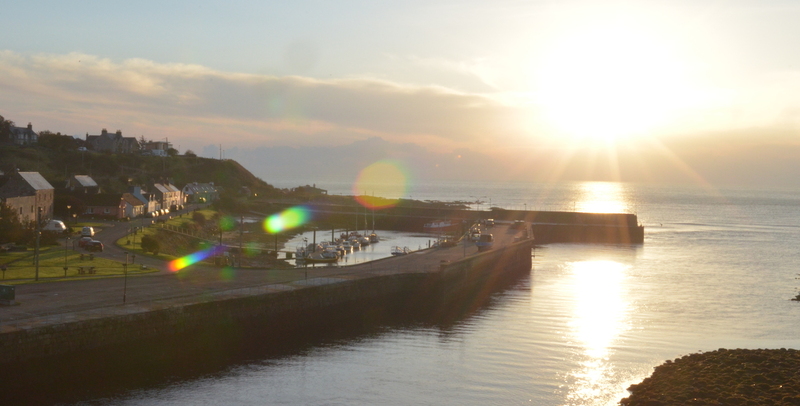 Every sound on the album comes from my time in Helmsdale. Here’s a track-by-track description of all the sounds that I used, as near as I can remember! The beautiful album packaging was designed by Anna Parker at Fogbank. The illustrations all come from photos I took in the village. This was such a great project, there are so many people to thank! In particular, I’d like to thank all of the staff at Timespan, which is a lovely place that you should visit. Frances Davis, Aaron McCarthy, Anna Vermehren, Heather MacLeod, Lisa Macdonald, Jacquie Aitken, Caroline Kelly, Jill Ferguson, Rona Ellis, Flora Brampton-Gunn, Linda Batty, and Penny Innes. Also everyone who put up with me and my microphones – Gerry & Mike, Stewart, Rod & Sue, Heather, Don (the fish & chips at La Mirage is amazing! ), Hula & the Hoops, the Helmsdale Church of Scotland, Helmsdale Primary School, Kildonan Church, the Lairg Gaelic Choir, and many many more. And if you’re in Helmsdale I can recommend the coffee and food by Rob and co. at Thyme and Plaice. This project was of course inspired by much of my recent work with Matthew Herbert, who is both inspiring and incredibly supportive. The album borrows conceptually and musically as well from Moondog, who is just amazing. And I would like to especially thank my wife Kristina, who accompanied me for many of the recording sessions on this project and who believes fiercely in my work and helps me see magic everywhere.